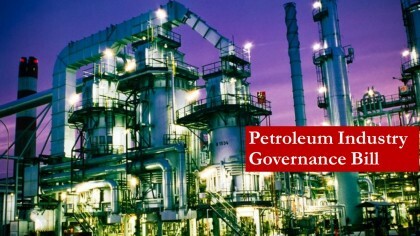 A Bill for an Act to provide for governance and institutional framework for the petroleum industry on Thursday in Abuja passed second reading in the House of Representatives. The bill which was transmitted from the Senate and presented by Rep. Tahir Monguno (Borno-APC) also sought to establish a fiscal framework that would further encourage investment in the industry. Presenting the bill earlier, Monguno said that it would ensure increase in accruable revenue to the Federal Government. He said that laws were supposed to be organic and should change in line with the reality of time. Monguno said that the bill would bring “forensic overhaul’’ of the oil industry and entrench international best practices in the sector. He referred to Nigerian National Petroleum Corporation (NNPC) as ‘Alpha and Omega’ of the oil industry and that it had become an ‘octopus’. He said that bill when passed and assented to, would unbundle the NNPC into components, adding that the units included Nigerian Petroleum Regulatory Commission, Petroleum Equalisation Fund and Nigerian Petroleum Management Company. Monguno said that the essence of unbundling the NNPC into units was in line with international best practices and to bring transparency in the conduct of businesses in the industry. In his contribution, Rep. Victor Nwokolo (Delta-PDP) said that the oil and gas sector of the economy could not be undermined as it provided about 80 per cent of Nigeria’s earnings. Nwokolo said that the sector accounted for 95 per cent of the country’s foreign exchange and 13 per cent of the Gross Domestic Product (GDP). According to him, Nigeria produces about 3.9 million barrels of crude oil a day and has a capacity of 8.3 million barrels which could only be achieved if the bill is passed. “Nigeria ranks the sixth highest exporter of crude oil and 7th in gas reserves in the world,’’ he said. He said that it was important to replace outdated laws and to enact new laws to enable the country benefit from its gas reserves. According to Nwokolo, there is nowhere in the world where the government is involved in the day-to-day running of the oil and gas sector. “The sector is thrown open to the private sector while government regulates and that is only possible with updated laws,” he said. Nwokolo said that the powers of the Minister of Petroleum would be restricted to policy-making and separated from the regulation. He explained that such measure would give confidence to private investors as the sector would not be controlled by policy makers.